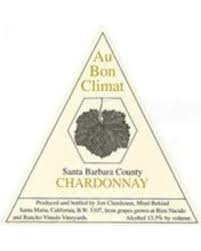 Au Bon Climat is one of the most reliable Santa Barbara producers of reasonably-priced wines. I adore their line up of Pinot Noir, so why not try their Chardonnay? Although Chardonnay remains the white wine of choice for many consumers, there has been a backlash against it among connoisseurs and dedicated wine lovers. But when made well it is among the most satisfying of wines. It is a chameleon taking on different profiles depending on the style of the winemaker. This one reminds me of why I like Chardonnay. Aromas of mild butterscotch framing a core of muted apricot are dominant but the aromas keep gently morphing into flinty minerality and even some hints of earthy cheese, showing myriad aspects as it sits in the glass. Tangerine and light toast grace the medium bodied palate leading to a long, fresh finish that also doesn’t stay put, giving hints of chalk and more surging minerality until it finally settles on spiced pear to close the proceedings. Fruit and acid are well balanced. 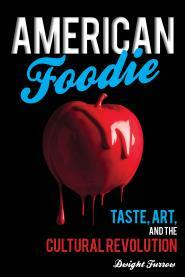 California winemakers in years past had a tendency to over oak their Chardonnay. Today, the pendulum has swung in the other direction. But Chardonnay is a grape that shows oak well when it is restrained. Au Bon Climat doesn’t hit you over the head with it but provides enough to give the wine depth along with with full malolactic fermentation and sur lie aging –a classic style.